I had plenty of time to take this photo. 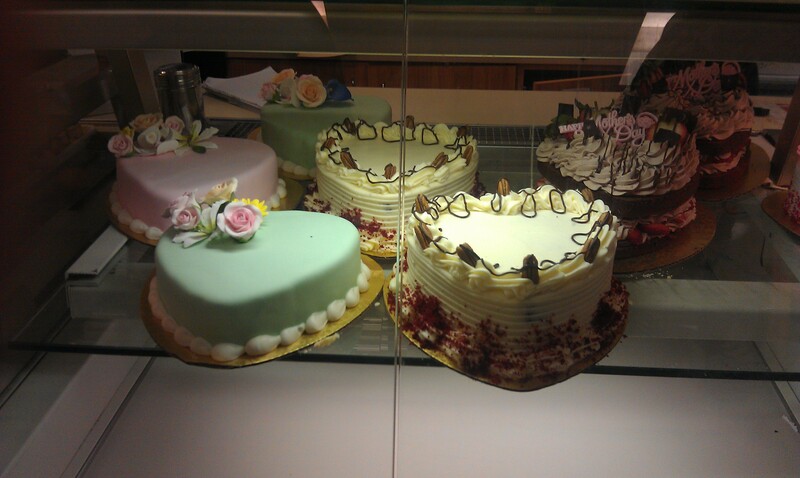 I could have waited until people weren’t standing in front of the bakery. But wait, people are always standing in front of Carlo’s Bakery, posing for photographs or peering through the large glass windows. 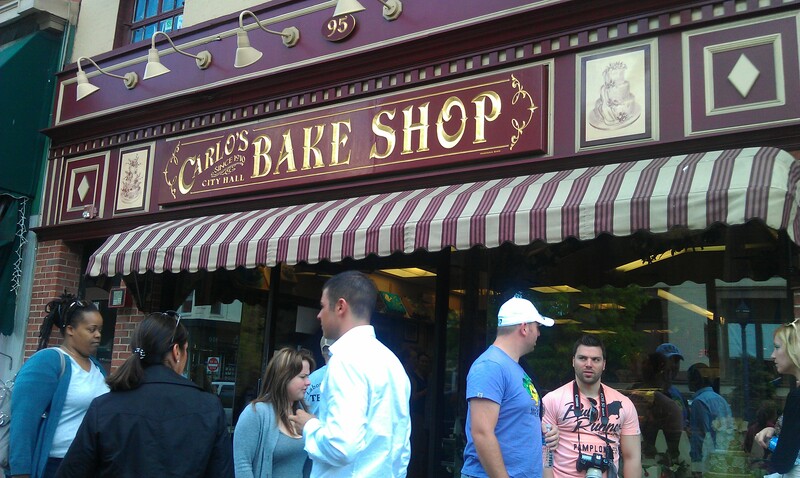 Carlo’s is best known by TLC viewers as the Cake Boss bakery, which is why people from all over the tri-state area spent their Saturday morning standing in line for confections. We waited an hour to get in and then had to stand around about ten minutes for our order to be taken. We started our wait in front of Carlo’s, but were then ushered by a police officer to a faraway corner. Apparently, the Carlo’s line disrupts the peace of Washington Street. People were buying cakes, loads of goodies, and even Carlo’s apparel. It was nuts! People were nuts. Here’s Mary, one of Buddy’s sisters. Her acrid personality grates on the nerves of most Cake Boss viewers, I’m sure. We also saw Mauro, who is as big as he seems on television. After we left, we peeked down the alley where their delivery car is parked and saw Buddy loading a cake. He was pretty adorable in his bakery outfit. We bought cookies, cannolis, lobster tails, and a cupcake. The cookies were bleh; I commented that Hungarian Pastry Shop has much better fare. I enjoyed the cannoli. The shell was crisp and slightly sweetened by confectioner’s sugar. Its filling was creamy and not-too-sweet, dotted by mini chocolate chips. 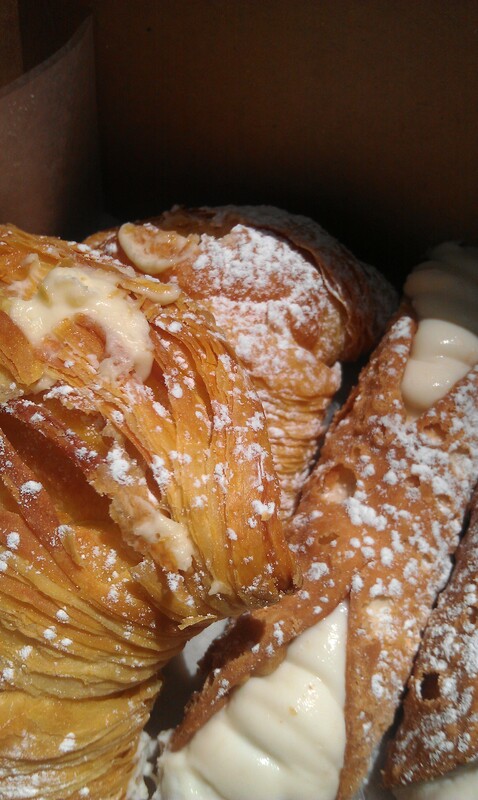 The lobster tails had filling slightly sweeter than the cannoli. Eating one was like biting into a giant cream-filled croissant. My favorite treat was the cupcake. 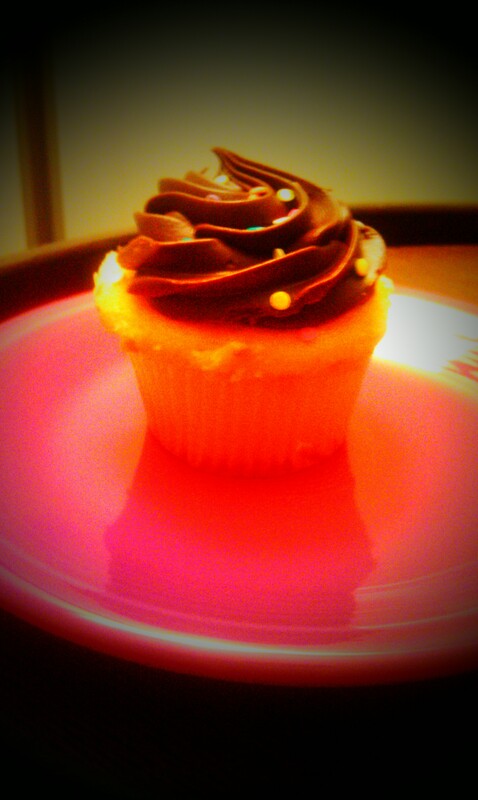 Its yellow cake was denser than that of Magnolia and its ilk.The frosting was rich and fudgy and there was just enough. Overall, I think the trip was worth it. We got to see Buddy and the treats aren’t bad. I’m not sure I’d wait another hour to get into a bakery. This isn’t the Shake Shack, after all.